The recent entry of Flipkart into grocery segment following the footsteps of Amazon demonstrates a trend of increasing interest in the online grocery business. Fashion, electronics and other lifestyle goods offer higher margins and have more scope for offering differentiation. Also, as reported by Euromonitor, in 2015/2016, growth in online fashion (apparel and footwear) category in the Indian market was 82% vis-à-vis online grocery (food and drinks) category which grew by around 43% as compared to last year. Why, then, lifestyle online retailers like Amazon and Flipkart are getting into non-glamourous grocery business to compete with your local Kirana. Let's try to understand the retail landscape and Indian shoppers little better. What is that shoppers are looking for when it comes to grocery shopping. Convenience.While modern trade players like Big Bazaar and Reliance Fresh offer better prices, the convenience of everything under one roof and better shopping experience, Indian customers never left their neighborhood Kirana who offered the convenience of home delivery of small quantities at a phone call. This is where online grocers like Bigbasket made a success from. Not only did it offered the convenience of scheduling time-slots for home delivery, it went a step ahead to offer express delivery to give direct competition to local Kirana. Shopping Frequency. Modern trade remained a once-a-month trip shopping trip for large planned purchases in shopper journey supplemented by several small frequent purchases delivered at the doorstep by local Kirana. Recurring purchases make this segment more attractive despite lower margins. 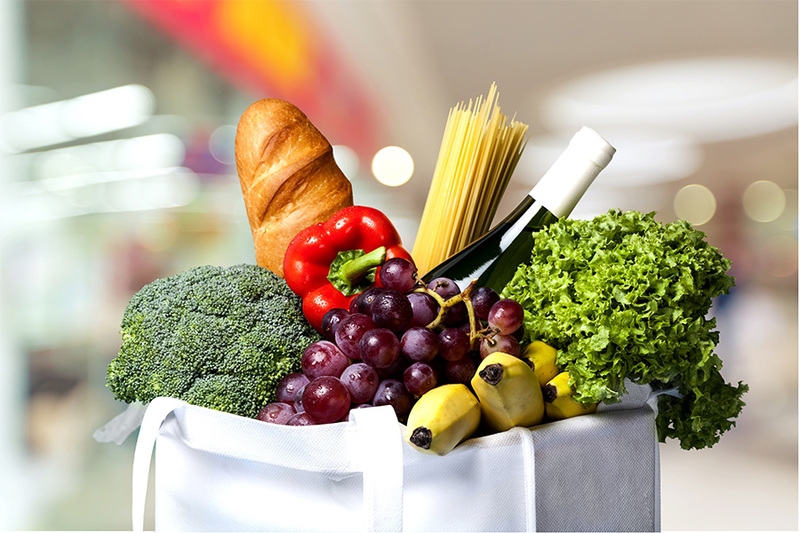 An average household makes 4-6 purchases in a month from a local grocery store. If we add fresh merchandise like fruits and vegetables, the frequency will increase further. Expectations on promotions. Purchase of fashion, electronics and other lifestyle goods in online space has largely been driven by deep discounts and promotions. Food and beverages segment, on the other hand, is driven by MRP and brand led promotions. While customers do expect good prices, the extent of discounts and promotions is much lower. Brands and products. The product in grocery segment are more standardized and there are fewer brands to deal with. While the number of products is high, the challenges of sizes, colours etc. are lesser making product planning little easier. Further, the frequency of customer returns is much lower in the category which is a logistic nightmare for online retailers in fashion and lifestyle segment. The next frontier for the online lifestyle retailers seems to be the grocery. Grocery contributes to larger wallet share of customers, is a recurring purchase, driven more by convenience and not so much by discounts. Also, the scope for returns is limited. Brands are standardized and consumer choices are relatively well defined. The segment is not without its own set of challenges. While Bigbasket has been quite successful, Grofers and ZopNow are yet to make a mark. In the meanwhile, Peppertap and Localbanya have already shut down their operations. If we look at the business models, grocery has two prominent business models – inventory led and hyper-local. The inventory-led model requires online retailers to hold the inventory and is, therefore, capital intensive. Further, this model requires investments in maintaining the cold chain infrastructure if the retailer is dealing in perishables like fruits, vegetables, dairy products etc. The model, however, offers online retailers an ability to assure delivery of desired products to shoppers which is a deal breaker in grocery segment. The hyperlocal model involves picking up the ordered goods from several stores and delivering at customer doorstep. Though less capital intensive, this model has logistic challenges of picking up products from multiple small stores. Also, in this model, the ability to offer value addition is limited. Further, with this model, product availability is beyond the control of the online retailer. Then there are hybrid models where retailers adopt a bit of both – inventory model for staples and hyperlocal for low-frequency specialty products. The most successful player in this segment, bigbasket.com follows a hybrid model - an inventory-led model for most of the products supplemented with a few items on hyperlocal. In fact, Bigbasket has really captured on the sense of urgency and instant gratification needs fulfilled by local Kirana. It has a few small warehouses spread over high-density areas in key cities to facilitate express delivery of essential products.This is supplemented by centralized warehouses for larger planned purchases delivered on customer-selected time slots within two days. This offers customers a flexibility to order both planned staples as well as urgent products like daily usage vegetables and fruits from the same retailer. Other players in this segment like Grofers, and ZopNow follow the hyperlocal model. Another interesting model which has been emerging in recent months is brick-and-mortar players like Natures Basket and Star Hyper getting into online grocery business to tap on to the need of urban customers who are starved of time and are comfortable with online and mobile ordering. These retailers too are offering the online model to customers where they will fulfill the orders from their respective physical stores located close to the customers. Identifying the potential of the model, consumer goods companies too are eying the pie. HUL, the leader in consumer packaged goods is also experimenting with online portal humarashop.com that connects shoppers to local Kirana shop through the portal. Amazon.com has already entered this business with limited product lines through Amazon Pantry with next day delivery. They have asked the regulator to allow them to sell fresh fruits and vegetables which are currently restricted to domestic players. Such initiatives would, however, require larger investments in logistics. Online grocery category in India is likely to grow by around 38% while growth in online fashion is likely to come down to around 10% next year as forecasted by Euromonitor. With several players joining the bandwagon of online grocery, the game is becoming more interesting.